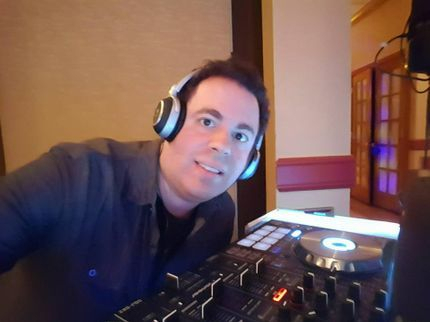 Born and raised in Nutley New Jersey, Aaron (aka DJ Trip) founder of American Party DJs, LLC has been well known for his exciting music career. During his school years he performed in all of the school music programs, including the Marching Band (this was one of his favorites). 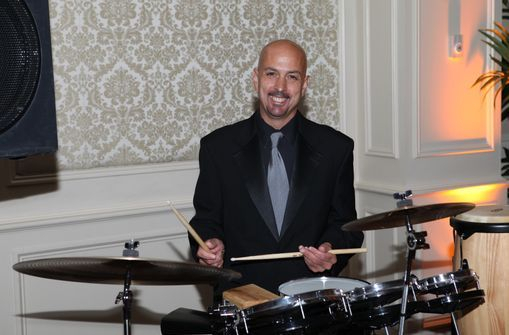 When attending Caldwell College (now Caldwell University of Caldwell NJ) he studied Music with percussion as his main instrument of study. He graduated with a BA in Music. Performance, Education, Theory, Public Speaking, Radio Broadcasting and Business, not to mention his career of being an IT tech and studying Computer Science. During those college years he produced Concerts, participated in the Caldwell College Chapter of MENC and was the campus Disc Jockey. This was when he was named "DJ Trip - Tripping the Tracks." This stuck with him and became his initial stage name. By Aaron combining both major skills of Music and Technology, he creates the breath taking atmosphere to every show. 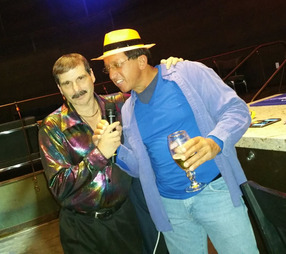 A Nutley graduate himself, Joe has been well known over the radio airways for many years. Now idolizing himself in the spotlight at American Party DJs, LLC as Disco Joe giving his 110% to bring you that fun disco studio 54 atmosphere like the good ol' days of clubs and radio. At American Party DJs, LLC Disco Joe is taking the DJ business to a whole new level. Pamela is our go to Photo Booth Guru. A Nutley graduate too. Owner of Discover Fun Photobooth! They had planned many events from birthdays, graduations, weddings, sweet 16's, etc. They know what the hustle & bustle is like. Choose them for the most fun time your guests will have at there Photobooth! They can work with any budget and time constraint! At Discover Fun Photobooth, we are focused on providing excellent services with the highest level of customer satisfaction. We will do everything we can to meet your expectations during your special event! Born in Livingston, lived in West Orange NJ until recently. Currently holds a Masters Of Art in Education , dual certification K-5 and Middle Social Studies. Paul has worked as a Disc Jockey before perusing a side career as a landscape, macro and life time photographer. Paul began his studied at Flying Photography School in Missouri. Paul has won various awards on his landscapes. Including dual awards from Photopix in 2016 "Top Photo of the Week" and Top 10 for the month. Paul has always had a fond interest in photography and the arts. 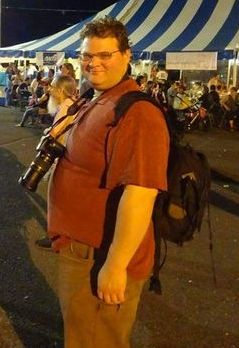 Some of his experiences include "Clifton's Got Talent" in which several of his pictures were published in Clifton Times and Clifton Journal. In addition , Paul has attended workshop with Portrait Photographer Erik Valid and Life Magazine Photographer Jim McNally. Paul is constantly training and working to create photos which are pleasing to the eye. Paul was recently asked to join the American Party DJ team and was welcomed him with open arms. You can rest assure that Paul has what it takes to take your photos to the next level. Paul can be booked for photo booths, and event photography. Currently he is available for engagement sessions, couples photos, super sweet 16s, birthdays, retirements and various small events. See our photo booth packages - click here. We like to give a shot out to the music stores who took there time to find us the best equipment. From Snow Machines to Up-lighting, Photo Booths to Virtual Reality Cameras and Ariel Drones, we have it all. Small Events to Huge Events, no matter the size, you will be in awe. We are here to change the mobile DJ entertainment experience for all. Time to break out of the cookie cut out. The sky is the limit to what we can provide for entertainment. We have access to millions of Vendors who can provide the sky of options. With American Party DJs LLC, you are guaranteed to be amazed. We would love to help make your event a one of a kind dream event. We subscribe to PrimeCuts music service by TM Century, PromoOnly and Beatports. These services are only available to radio stations & professional Disc Jockeys and contains radio edits of the latest music. Feel confident knowing that American Party DJs, LLC supports the music industry and is supplied new music from a legal source.